Oberon House is located in a quiet cul-de-sac near the Welsh Highland steam railway station in the historic and beautiful village of Beddgelert, at the foot of Snowdon. 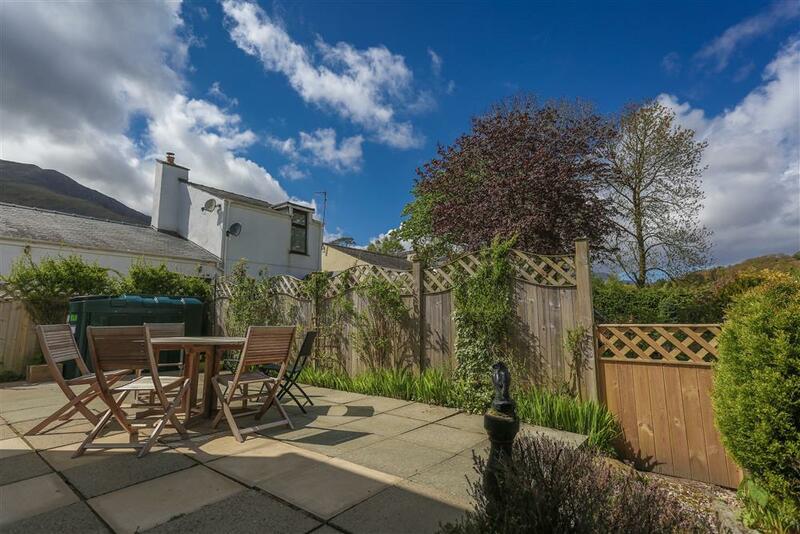 This split level house is stylishly furnished in a modern style, with two lounges with TVs - so one can become a bolt hole for the kids away from the adults! There is a feature fireplace with a log burning stove in the main lounge, which has glimpsing views over the countryside from either window. Having both a bathroom upstairs and a shower room downstairs will help with the morning rush, as everyone gets ready for a day exploring Snowdonia. The crystal clear river Glaslyn, which meanders through the village, is a short walk from the property and the Fisherman's Walk towards Porthmadog will take all morning, through woodlands and down the Aberglaslyn Gorge. Catch the steam train back and finish with a pub lunch in one of the great inns in the village. Beddgelert is a picture postcard village, with its twin rivers and a hump-back bridge, which is just a few hundred yards walk from the cottage, making this and ideal holiday location throughout the year. Enjoy plenty of 'from the doorstep' scenic walks and mountaineering and it's just a a short drive to Black Rock Sands beach near Porthmadog (9 miles) for those sunny days. Harlech and Caernarfon castles are only 15 mls, Zip World: Titan slate caverns are a 30 minute drive and the shops/inns of Beddgelert only around 300m away. 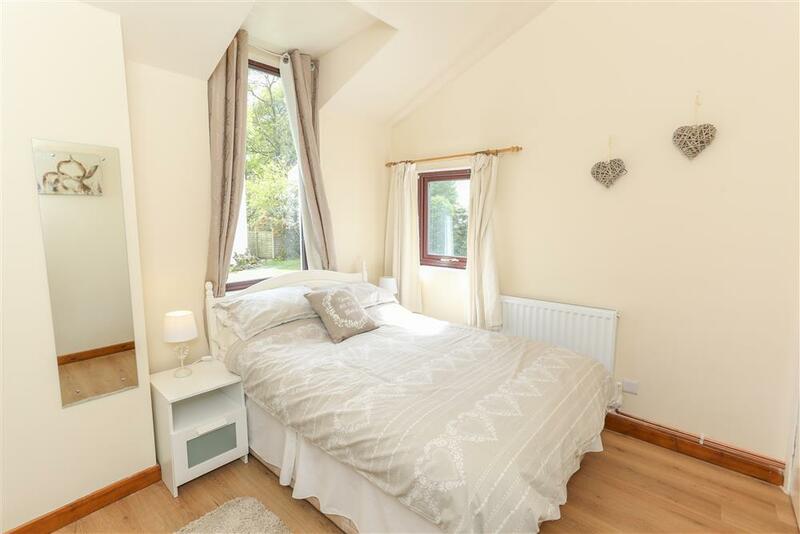 What we love about this house is not only the space - with two wash rooms and private parking - but also that its in a quiet location but still only 5 minutes to the pub! 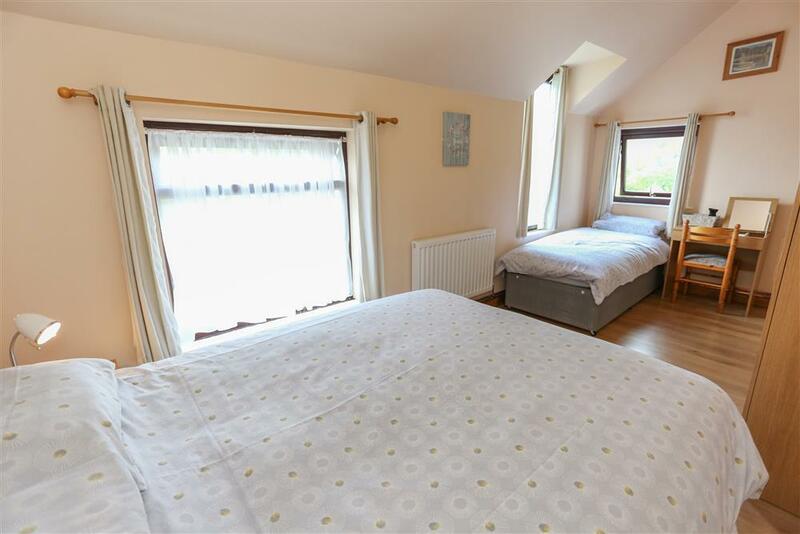 3 BEDROOM: 1 spacious bedroom with a Kingsize bed and a Single bed, 1 bedroom with a Double bed, and 1 bedroom with two Single beds. Bed linen and towels provided. 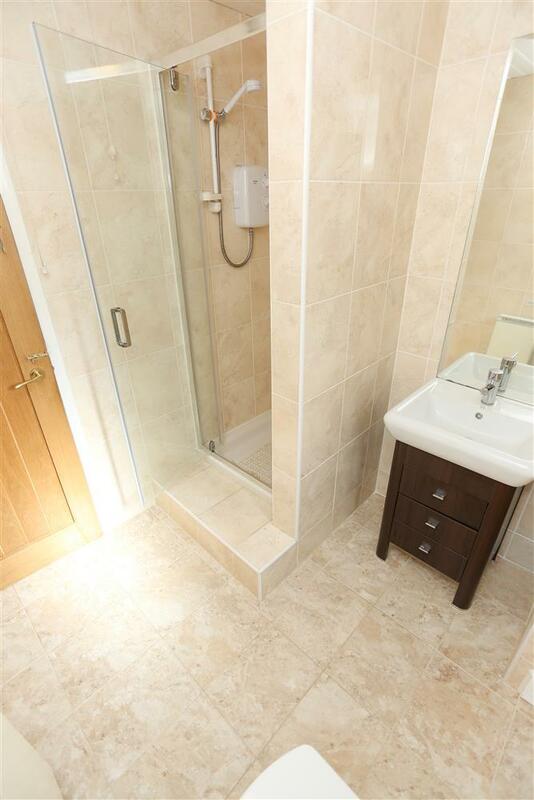 SHOWER ROOM/WC with shower cubicle, hand wash basin and heated towel rail on the ground floor. 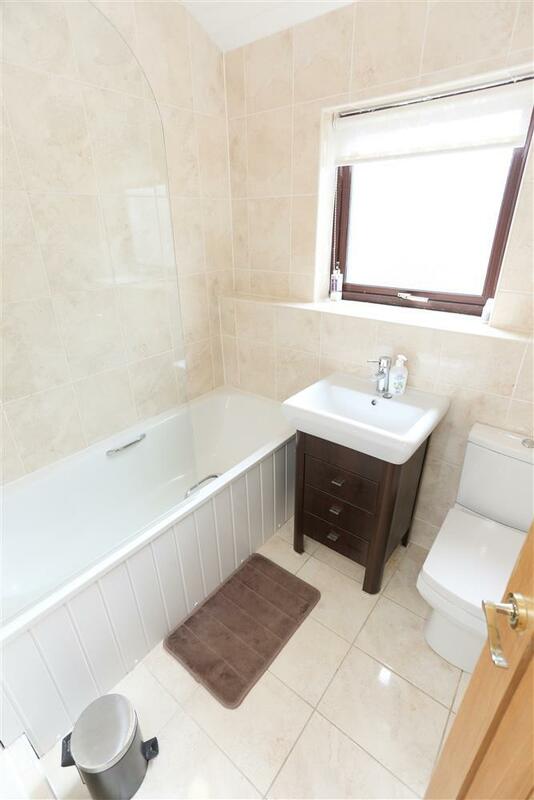 BATHROOM/WC with shower over the bath, hand wash basin and heated towel rail on the 1st floor. Main LOUNGE with comfy leather seating, feature fireplace with a multi-fuel/log burning stove, Smart TV, DVD & CD player. Second LOUNGE / TV ROOM is more snug, with a couple of sofas, Freesat Smart TV, DVD & CD player. KITCHEN with electric hob & oven, microwave, fridge, freezer and washing machine. GARDEN: Enclosed patio to rear with country side views, patio furniture. GARAGE available for storage of bikes, canoes etc. WiFi: Yes, free and unlimited. EXTRA: EE and BT Mobile are the only mobile phone networks that will pick up signal in the village. Other networks will pick up signal once outside of the village. Mini-break rules: A mini-break is a holiday for less than 7 nights and/or may start on a day which isn't the normal changeover day (Friday). Out of season (November to end of March), this property will accept mini-breaks 56 days before the start date of the holiday, but will not accept mini-breaks in season (April to end of October). Mrs S (August, 2018): "A lovely house in a great location, very well equipped. Very comfortable and warm. Would recommend it to anyone and definitely stay there again. We have stayed in cottages for over 30 years and this is amongst the best!" The R Family (October, 2018): "We loved this house, so spacious, clean and airy! We've had a fantastic week with amazing weather, our hike up Snowdon in the sunshine was a particular highlight! The dogs loved Black Rock Sands and we had a wonderful meal at the Cwellyn Arms in Rhyd Ddu with a beautiful walk there and train ride back. Many thanks for letting us stay at your wonderful home!" Mrs R (October, 2018): "Lovely house; clean, bright and airy with all the mod cons to make it a home from home"
J, T, Z and C (September, 2018): "A lovely, clean and modern holiday home - everything was meticulous down to the last detail and all comforts catered for. We enjoyed amazing walks around the area, rode the steam train to Porthmadog, visited the Copper Mine near by and walked on the beach with our dog at Black Rok Sands. The memorie we made will leave footprints in our hearts forever..."
Mrs B-R (September, 2018): "The house is so well set up and meticulously equipped with all creature comforts, not to mention clean and modern. Located in such beautiful surroundings with plenty of country walks, the local shop and cafes/pubs on your door step. We were very impressed with how well organised everything was, making our holiday truly relaxing and stress-free." L Family (August, 2018): "Lovely house in a lovely place! Perfect location for exploring the area. We have had a great time and will recommend the house to our friends. Many thanks.!" D Family (August, 2018): "Well situated, comfy home. Well placed for train spotting! Will recommend to family and friends!" Mr R (August, 2018): "The property is excellently located and has all the conveniences." Mr A (July, 2018): "The accommodation is spacious, comfortable and well equipped. 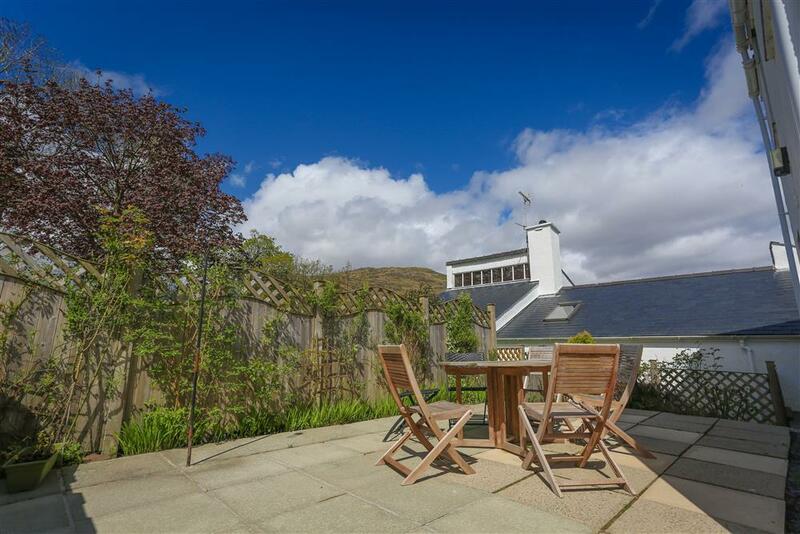 It is in a peaceful location within very easy reach of the village centre by foot. There are some lovely walks almost from the doorstep." A & H (July, 2018): "Well equipped and comfortable property that suited our needs perfectly. Beddgelert is a charming place and an ideal base for exploring Snowdonia." Mrs J (June, 2018): "It was a pleasure to stay here! The house is lovely and in a beautiful setting. Breakfast, lunch and dinner enjoyed on the patio, looking at the views. Will be sad to leave but will be returning next year without a doubt! Thank you." 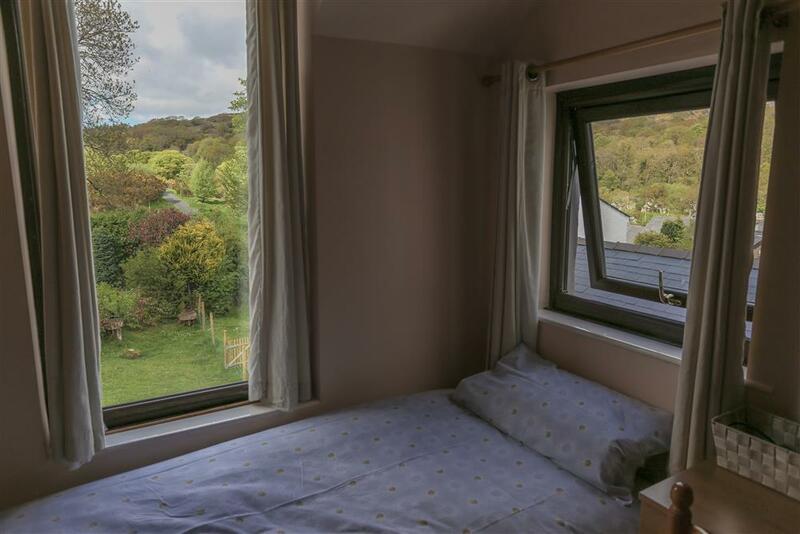 R & S (June, 2018): "Comfortable house and perfect location for visiting Snowdonia. 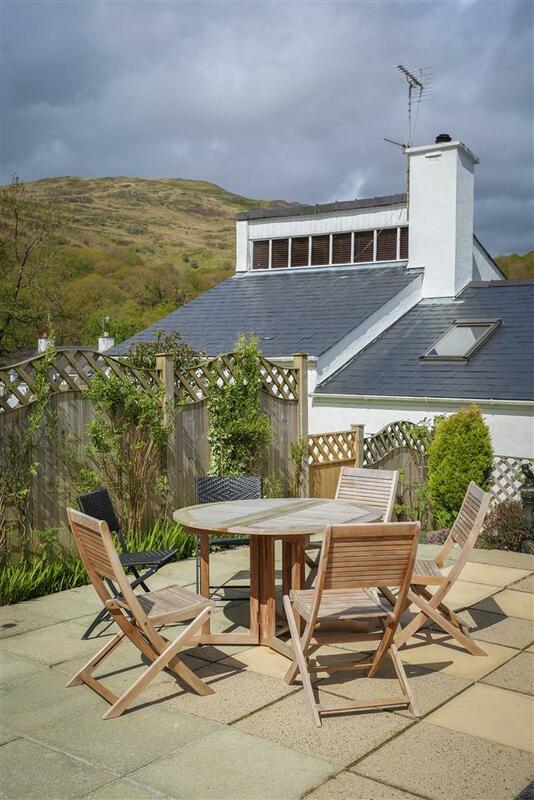 A lovely, peaceful, relaxing break in Beddgelert." 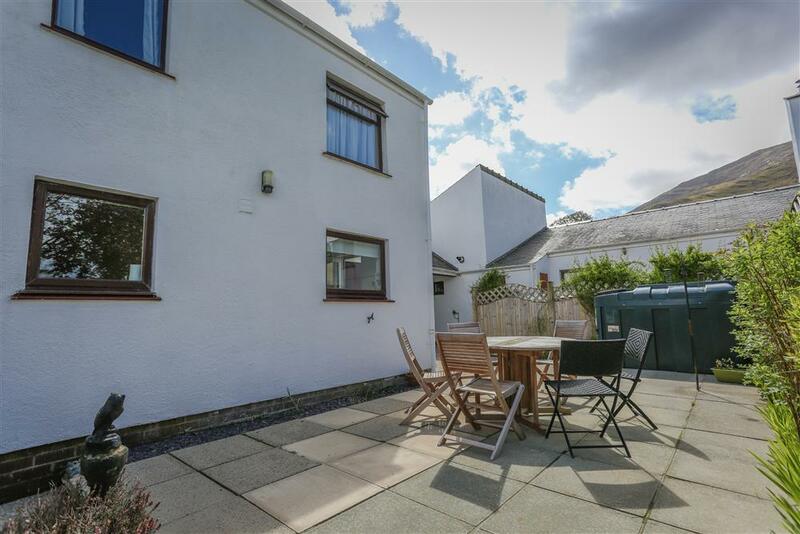 Mr W (June, 2018): "Great location and lots of space in the property." 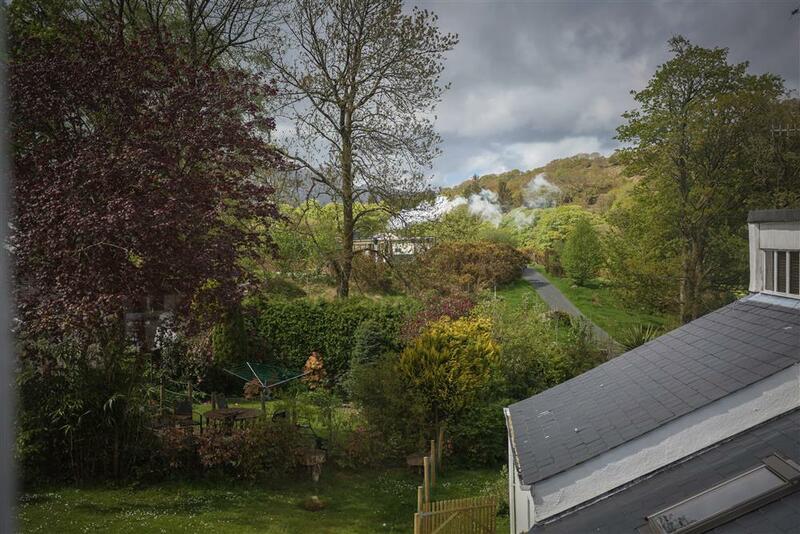 Mr & Mrs W (May, 2018): "Wonderful setting - we loved the walks, the swimming in lakes and rivers, waking up to amazing views and the sound of the steam train. The house is perfect for that home from home relxed feeling. Thank you and we're pretty certain we'll be back!" H Family (May, 2018): "Excellent location. Spacious and clean house.Thank you very much. The house is awesome. 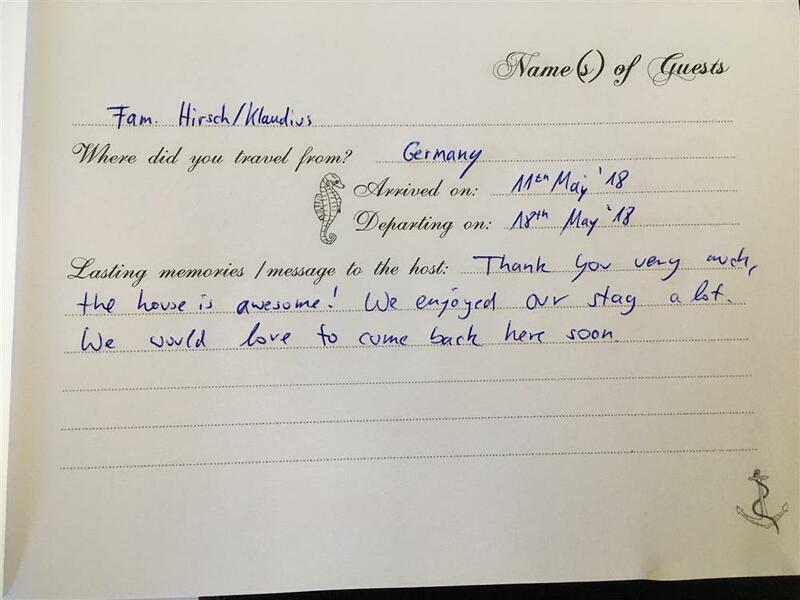 We enjoyed our stay very much and would love to come back here soon." Mr A (May 2018) "The accommodation is spacious, comfortable and well equipped. 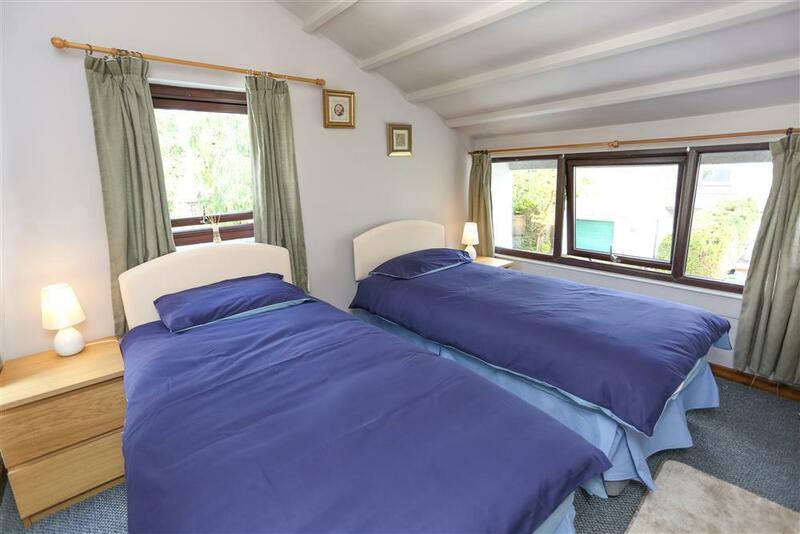 It is in a peaceful location within very easy reach of the village centre by foot. There are some lovely walks almost from the doorstep." From the car parking space, there is a slope to both the front door and the patio area, where the kitchen door is located. The distance from parking space to front door is 11 meters, with a 10" step up into the house and through a standard door. Entrance hall and corridor with wooden floors, open tread staircase to first floor. Access to the kitchen, TV room and shower room/WC from this level, with no steps. There are two 8" steps from the hallway down into the main lounge. In the ground floor shower room/WC, there is a step up to the shower cubicle of 24cm (9.5"), then into the shower itself there is a small step of just 9cm (3.5"). Direct access from the lounge to the rear patio area is down a 20cm (8") step. From the smaller patio area and up to the larger patio area is up 3 steps, the first two are 20cm (8") then the 3rd and last step up is 15cm (6"). The larger patio is accessed from the kitchen door via a 25cm (10") step. The car parking space is 15 meters up a gentle slope. There is a open tread wooden staircase up to the 1st floor consisting of 12 steps with a rise of of 18cm (7") and each step has a central piece of carpet. There is one handrail on the right handside as you go up the stairs. 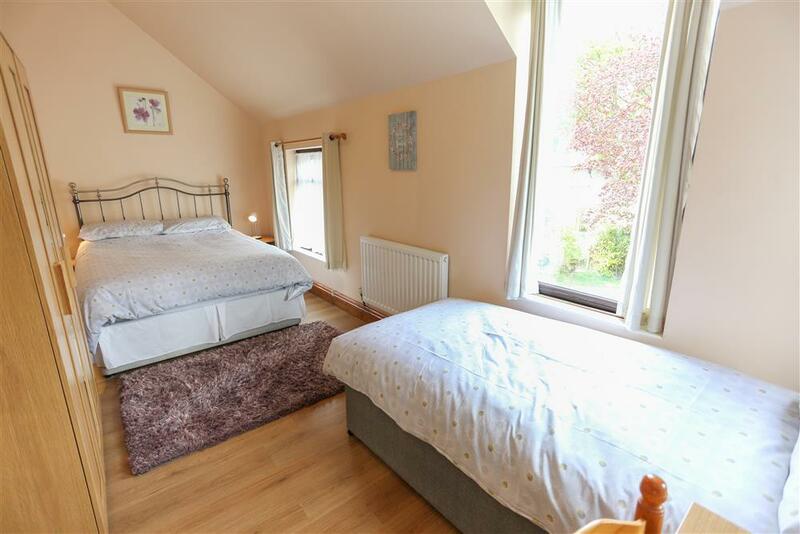 The top landing is carpeted with access to all bedrooms and the bathroom/WC. All doors are normal height and width throughout the house.